The BlackBerry 10 showcase has now finished and the smartphone world is busy digesting all the details about the hardware and all the software features the platform will bring. One of the major criticisms with BlackBerry in the past has been its lack of big name applications, but BlackBerry 10 will have over 70,000 apps that includes big names such as Angry Birds. We have already told you about the Q10 and Z10 handsets that were officially unveiled at the event in New York, but the company took great pride by revealing the amount of apps that will be available at launch. Previously we had heard about the thousands of apps that were being submitted for the new platform in readiness of its launch. The company said during the event that there would be more than 70,000 apps available, which is more than any other first generation operating system has seen. 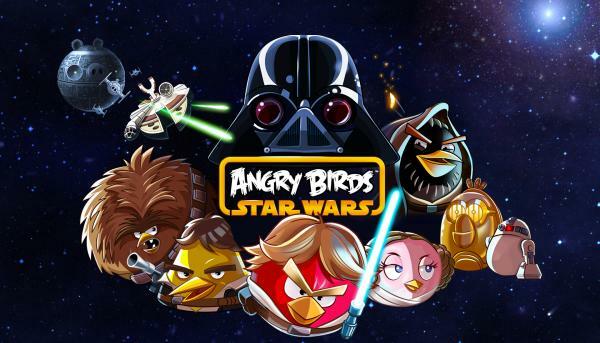 This included the popular Angry Birds, and the first 1,250,000 downloads of the Star Wars version will be free, so that’s good news for early adopters especially those in the UK that get access to the new platform from tomorrow. Some of the other titles that appeared on the screen during the presentation included Cut the Rope, Accuweather, Foursquare, Goal.com, Need for Speed, Twitter, LinkedIn, WhatsApp, Slacker Radio, Shadowgun, Facebook, TuneIn, and many more. While there were some big names noted and obviously many apps being available at launch, BlackBerry 10 is still a long way behind the likes of Android and iOS but it is a promising start. My teenage daughter loves her BlackBerry but doesn’t like the fact she doesn’t have access to the likes of Angry Birds and Temple Run, but things look to be changing for the better with the new BlackBerry OS.